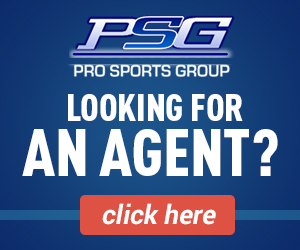 If you are on this page and looking for an agent in professional sports you need to understand the following. The agents on our site are independent business owners and in some instances corporations. They are not employees or contractors of Pro Sports Group. Many of the agents have certifications in several sports not just the one you are interested in. 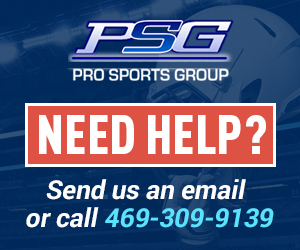 All are interested in speaking with quality athletes who are sincerely interested, motivated and have the skills to compete at a high level in professional sports. It is up to the individual athlete and agents to work out any legal agreement(s). We recommend athletes read the book “An Athletes Guide to Agents” by Robert H. Ruxin to assist in their education of what is involved in this very important business decision. Some agents may ask for fees, this is not common, but if they do this is their fee for trying to place an athlete and not a fee being charged by Pro Sports Group or it’s employees. 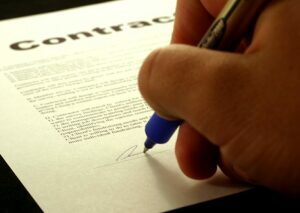 We recommend that you have a written contract with the agent if he is charging an fees. If there is no contract then you should not do business with them. Remember most agents do not charge any fees so shop around and speak to multiple agents. Athletes please understand the contact forms provided under the agent bios is your first communication to the agent. Please supply to the agent a complete view of yourself so he can make a informed decision on whether he would like to take another step and communicate further with you. Take the point of view that this is your first interview for a job or first resume. The Agents desire to know as many of your qualifications as you can share about your career including, your age, education, health, skills, and specific position(s). The more informative you supply the more likely you will receive a response. Comments like I am a football player and want to take my game to the next level will not receive the attention needed for you to move ahead. The agent will have no choice but to ask for more detail or ignore the origination all together. Agents are often busy so please be patient. We repeat It is very important that you give the agents the information they need. Our agents have an excellent record of follow up and response but sometimes it may take a few days or a week. The information provided on the bio is supplied and/or edited by the agent. Pro Sports Group has no way of verifying all the information on each bios. Athletes must do their own due diligence on the agents they work with. Athletes need to discuss and evaluate each individual agent with their own research and communications. Again, all agents listed are independent business and are not contractors or employees of Pro Sports Group. At this time there is no fee to athletes for contacting the agents on our listing. Any fees quoted from an agent is their fee and is not a Pro Sports Group fee. Below is sample Athlete Bio which can be used. Simply create this information in a text file and copy and paste it into the Agent Contact form. * References from past coaches teachers, articles of interest. You may always send us an email with additional questions or for assistance in creating a bio. These agent are do not work for Pro Sports Group and the athlete and agent communicating with each other must chose to move forward with each other or not.